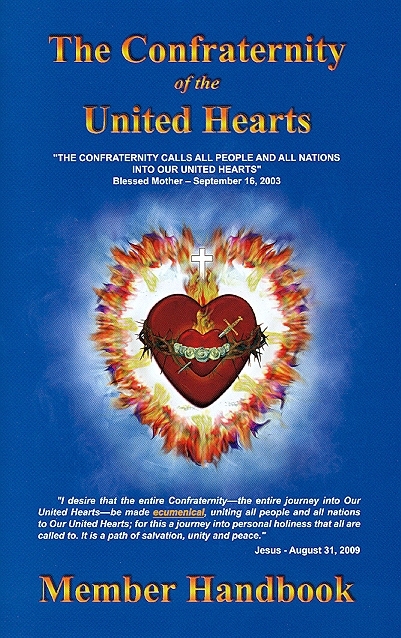 Booklet: The Confraternity of the United Hearts Member Handbook. 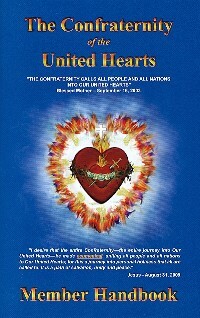 Includes explanations for a better understanding of The Chambers of the United Hearts, definitions of specific terms used in the Messages, Prayers, Membership Guidelines, Prayer Chambers, and enrollment information. Front cover measures 5.5 x 8.5in. Softcover. 45 pages.